1.For use with EPSON 7900/9900/7910/9910,7700/9700/7710/9710/7880/9880/7890/9890;11880c, PX-H8000/10000 waste ink tank. 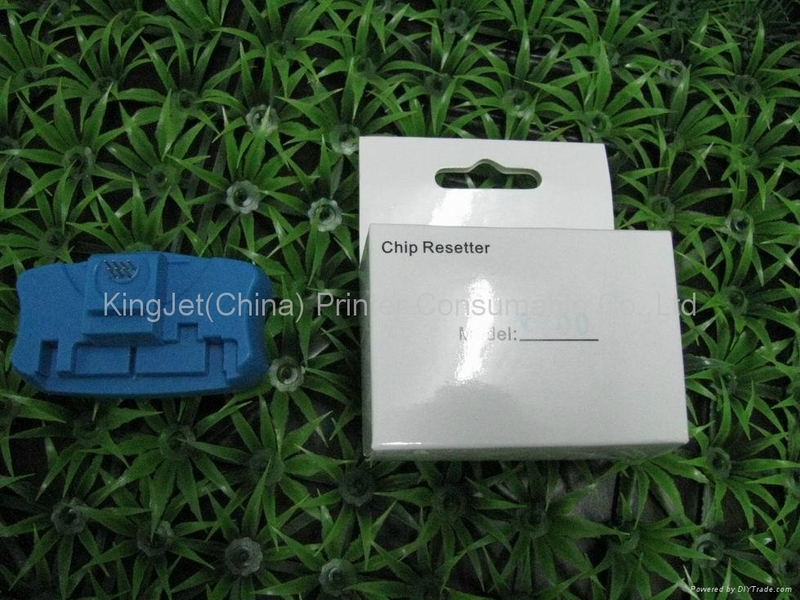 Chip resetter for use with EPSON 7900/9900/7910/9910,7700/9700/7710/9710/7880/9880/7890/9890;11880c, PX-H8000/10000 waste ink tank. 1, For use with EPSON 7900/9900/7910/9910,7700/9700/7710/9710/7880/9880/7890/9890; PX-H8000/10000 waste ink tank. 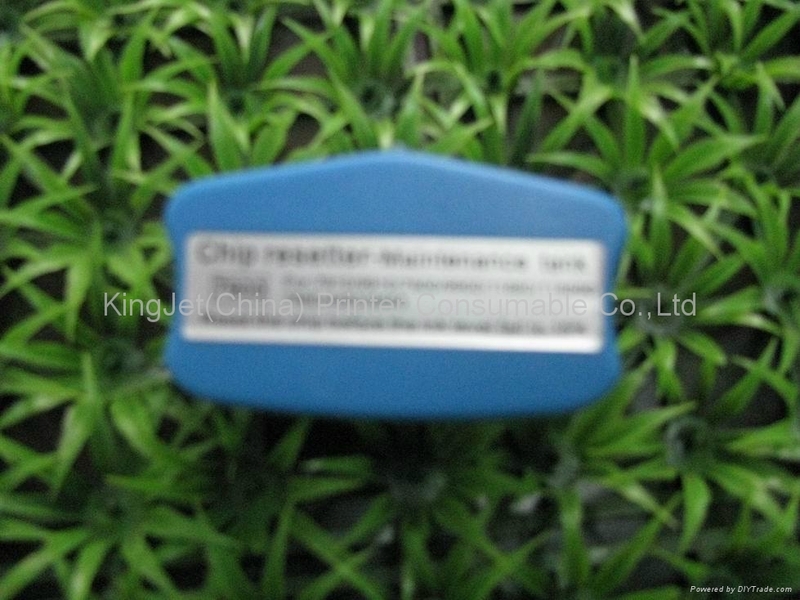 2, Can 100% reset waste ink tank chip data,waste ink tank could use repeatedly,save your printing cost a lot. 1, Because Epson Waste Ink tank has chip to memorize the data,if procced cleaning process for many times,the waste ink tank will not be able to work,it is not environmentally friendly,and cause production cost high.Use ocbestjet waste ink tank chip resetter,,EPSON waste ink tank could be used repeatedly,lower customer’s printing cost,and improve the company’s competitiveness. 2, Chip resetter fundamentally decod circuit of the ink system,use chip to simulate the cartridge data,after decod,every color ink shows 100% ink volume. 1. Fit the chip to the groove of chip resetter,enable the probe of chip resetter contacts the contactor of the chips. 2. Press the 2 components together, if the red light gleams ,it means the connection is fine. 3. 5 seconds later, the red light turns to green light,it means the chip data has been refreshed. 4. When the waste ink is much, could take out the sponge from waste ink tank, and clean it then put it back into waste ink tank and use . 1.The ink shows 100%, do not reset the ink volume repeatedly, or the data will be locked. 2.Red indicator light gleams, then it always shines ,does not turn to green light. 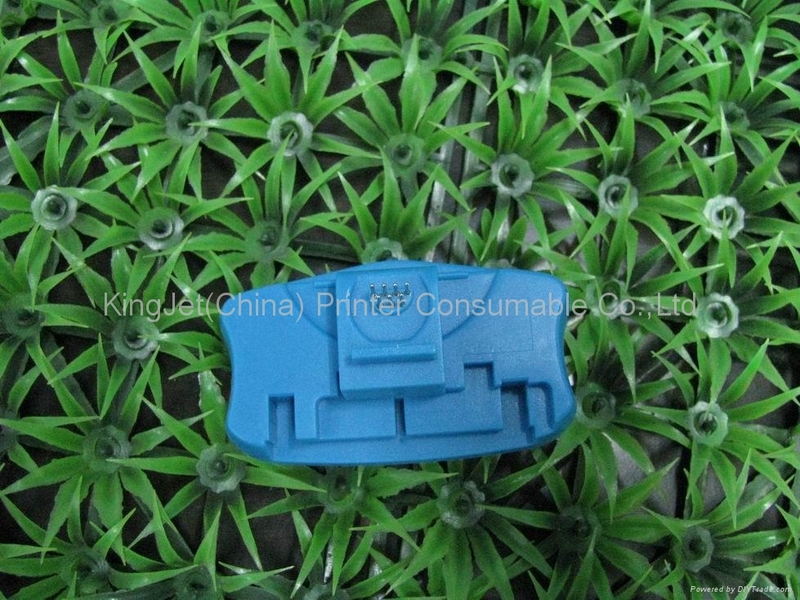 2.If the cartridge is not Epson OEM cartridge ,the chip contactor could not connected with the probe well .